There are a variety of ways to create a business and all have advantages and disadvantages, including, but not limited to tax purposes, the amount of members in your business, and so forth. We will identify the most common types of corporations that exist and highlight some of the advantages and disadvatages of each to help you determine if you are operation as the business that is best for your particular landscape or you should consider a change for your small business. First and foremost, we will discuss what it means to files as a DBA. To create a business and file it as a DBA means that you are allowing your business to do business under a fictitious name or the name that it may not hold once it becomes an officially registered business, like an LLC, sole proprietorship or existing corporation. When you start a Sole Properietorship or Partnership, you will need to start a business as anything, but your real name, although it will initially be registered as a DBA so you can conduct your business under another name in the future. In the instance that your business is already registered as a LLC, but you are undergoing a change, either address or structurally, your name must be different from your own, your partners or the company name it exists as. The name of your business is an important branding technique for the future of your business. If you never end up renaming from your business from what it was called in its DBA status, it will be referred to as the name of the business owner. You can register your DBA with either your state government or County Clerk’s office. An S Corporation is a corporation that is usually formed mainly for tax purposes. The tax incentives include electing to pass corporate income, losses, deductions and credits away from themselves and onto shareholders so the owners and shareholders pay less or no federal taxes. They typically record this income on their personal tax returns so they are taxed individually rather than as a company because they believe it will benefit them initially and potentially in the future. There is a level of independence that comes with owning an S corporation which allows the owner of the business to operate separately from the shareholder. If a shareholder leave, the S Corporation continues to operate as is. Common disadvantage of S corporations are that minutes are usually required to be kepts from shareholder meetings because the IRS may look at these company’s tax returns and business efforts more carfully than a LLC. Typically the shareholders (anyone who owns stock in the business), must compensate themselves fairly or the corporate earnings they receive may be looked at as “wages”. Audit’s that determine issues here may make you pay taxes at a higher rate in the long run. An S Corporation can have no more than 75 shareholders. In order to file an an S Corporation is a unique businss entity and tax regulations may differ in your state as they do in New York and New Jersey for the owner of an S Corporation. This may not be right for your business and you should consult your attorney/accountant and or state regulations before you decide to form one. Because of the 1996 tax law, S Corporations can now own 80 or more percent of the stock of a regular C Corporation. Certain times, trusts, estats and tax-exempt corporations can be shareholders. 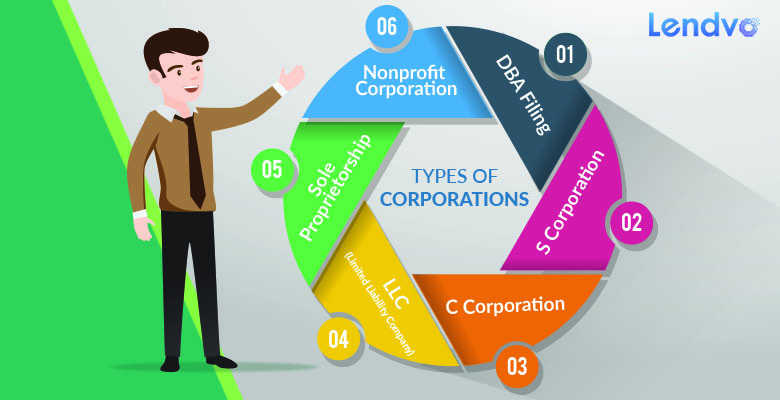 A C Corporation is any business where the owners of the business are taxed apart from the business itself unlike the S Corporation, which is usually not taxed separately. C Corporations are the most common form of business formed under the United Stated for federal income tax purposes. This allows the owners of the business to have less accountability in the instance that an issue between the partners, taxes or otherwise were to arrive. The corporation is taxed based on its profits and shareholders are also taxed based on distributions they receive directly, also known as dividents or profit sharing disbursements. A C Corporation can eventually go public if it becomes successful enough, which will allow it to sell shares to the public or remain privately held and not sell shares to the public. Owners personal assets are protected from the business. It is easier to raise rapital through selling stocks and bonds for small business owners of a C Corporation. Opening a C Corporation could cost up to thousands of dollars due to fees associated with making it a formal C Corporation that must be paid by the owners. Articles of incorporation are what require fees as they detail the business’ details like address, who is in charge in addition to other fees paid to the governement and attorneys when filing takes place. Often C Corporations are double taxed because the Corporation itself is taxed in addition to the business owners being taxed based on the dividends they are paid out personally. There is also more government oversight for C Corporations because of the intricate tax rules and the protection business owners receive by owning a C Corporation. This is what requires the small business owners to report directly to the state in which they are incorporated and where they conduct business. Board, shareholder meetings and issuance of stocks are required by C Corporations. C Corporations are traditionally filed with the state as mentioned above, although some states require additional filings than others. All C Corporations may have different structure and subject to filing certain different articles than others. Limitied Liability Company’s, more commonly referred to as a LLC, have been the most commonly held business structure in Europe and Latin America for a long time. They began to gain a foothold in the United Stated in the late 1970s. LLC’s are often recommended by attorneys, tax professionals and other small busienss owners because of their corporate liability protection in comparison to other small business entities. Advantages include the protection of personal assets from business debt you may face or from your other partners. Organizational structures are available in many different formats for LLC ownes and there are no ownership restrictions. Profits and losses do pass through to personal income tax returns for the owners ever since the late 1980s when pass-through taxation methods were put in place by the IRS in 1988. Limited Liability Company’s are known to have the shortest life spans because they are the most common business entity for members to leave which may lead to its dissolution. Members can either keep the LLC or decide to dissolve; depending on your operating agreement, there may or may not be exclusions to when you can or cannot close a LLC depending on when the first business owner leaves or does not. LLC maybes are double-taxed by the business and personally which is seen by many as a disadvantage. Additionally, members of an LLC are known to be self-employed by the IRS which means they must pay self-employment taxes like Medicare and Social Security at the same time their net income is taxed annually as a LLC. Owners of a LLC are usually referred to as members. Every LLC must have an operating agreement breaking down structure, finances and organization as well as a business name, articles or organization and licenses and permits. A Limited Liability Company is a form of partnership. The possibility of combining an S Corporation with a Limited Liability is one discuessed by many business owners and one best discussed with your attorney. Form 2253 is the appropriate tax form when this occurs, the same used for a S corporation. This allows the business to be conisdered for the tax benefits of a S corporation with the protection of the individual business owners of a LLC. A sole proprietorship may be the right business entity for a person wanted to oown their business as the outright small business owner. This is a business that is easier to operate than other businesses because there is no state filing required to form it and therefore no upfront fees for forming a small business. The owner must be a United States citizen and they can report business profit and loss on their personal tax returns while they are not required to hold annual meetings or record meeting minutes. The sole properietorship is actually the simpest businses to form because it does not need to be a legal entity. It is a person who owns a business and responsible for all of its debts. Owners of sole proprietorships do not have to pay any unemployment taxes on themselves, but do have to on employees. The owner of a sole proprietorship is required, however, to file for the necessary licenses and register the business under the business owners name for the licenses required. A disadvantage that many owners of a sole proprietorship run into is the liability of debt. If a sole proprietor faces financial trouble, the advantage of full liability, becomes their largest disadvantage because they become susceptible to lawsuits from creditors. The owner of a sole proprietorship usually signs all contracts they go into, by his or her own name. Personal and business property and funds ownership is a common challenge the owners of sole propreitorships run into, not knowing how to tell the difference between the two. Tax filings are simple, as the owner must files a Schedule C with their 1040. So if your business loses money, you can offset income other sources; if you profit, it can become a bit more complicated because of self-employment tax. If you have a tragedy, you will be fully liabile, including but not limited to, your assets, bank account, home, retirement assets and this is a scary thought for many small business owners. A large upside, as mentioned is that the owner of a sole proprietorship can form the business inexpensively and quickly. Additionally, the sole proprietor is a common business form for small business owners selling goods. A Nonprofit Corporation is a business organization that has a public purpose and receives different treatment from the business entities already mentioned, when tax season comes around. A Nonprofit Corporation is capable of making a profit. They are commonly eligible for benefits including sales, property and income tax exemptions when taxed by the state. Federal tax exemptions are also available for nonprofit organizations, sometimes they are even tax-exempt. Once the nonprofit pays its bills necessary to run the organization, all profits are given back to the nonprofit, rather than shareholders and business owners who receive their dividends at this point for a for-profit business. The main disadvantage is that shareholders do not make a profit from owning a nonprofit organization, but the business owners obviously know this when they started the nonprofit because that is the reason they did start it, to do good for the community or an artistic endeavor. A nonprofit orgnization still has to py its staff and volunteers as well as employment taxes. Therefore, if your NFPO is doing good for the community, it should not be looked upon as having disadvantages. Nonprofit organizations must be incorporated by the laws of the state. To be federally tax-exempt, the organization needs to apply with the IRS by requesting an EIN number and applying with recognition of exemption filing forms 1023, used for charitable organizations and 1024, for other tax-exempt organizations. 501 (c)(3) is one of the most common forms os nonprofit organizations that is most commonly used for charitable, educational, scientific, educational, relgious and literary work. A Limited Partnership is made up of one or more general partners in addition to one or more limited partners. The benefit for the general partners is that they get to manage the business while also benefitting entirely from the profits and losses of the business. Limited partners also share in the profits of the business, but they do not have to face the negative aspect of the losses to the extent beyond the investment they made into the business; additionally, they are not usually involved in day-to-day business operations. A Limited Liability Parternship is similar to a General Partnership. The only difference is that usually there is no personal liability for one partner for the negligence of another partner. A General Partnership is formed between two or more partners who make an agreement to contribute skill, lobor or money to business. The partners share the profits, losses and entire management of the business. There is usually a written partnership agreement where the partnerships are equally liable for debts and losses of the business. A Joint Venture is formed for a specific amount of time in order for a business transaction to take place. A Municipality is a public corportation that is put together to serve as a subdivision for state or local governmental purposes. A Franchise is another common business entity. A franchise business comes about when the owners of a business, or the “franchisors”, sell the rights of their business to third party operators. This most commonly happens when outside third parties see potential in a store, restaurant, car or retail model and decide to invest in this business to make a profit by themselves by opening their own storefronts with the same logo, name and business model operating out of a different location than the original business. Franchisees who invest in businesses have to pay an initial fee for the rights to the business, training and equipment. Once they begin operating, the franchisee usually pays the franchisor a royalty payment yearly or more often that is comparable to the franchise operation’s gross sales. Franchisor typically requires that the business model for the original business does stay the same uncluding uniforms, business motheds, signs logos and so forth. The pricing model typically remains the same and franchise attorneys can usually help you more in detail with the invesetment you are making once you become a franchisee.